Nothing says Christmas in Italy quite like a delicious, fresh Panettone! To make this festive hamper even better, we have added a bottle of bubbly, chocolate cookies that will melt in your mouth, and a bar of gourmet dark chocolate. 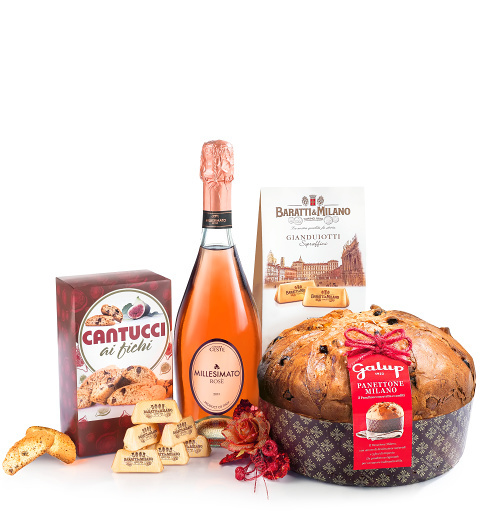 Send this delicious Italian hamper to a loved one and say Buon Natale!